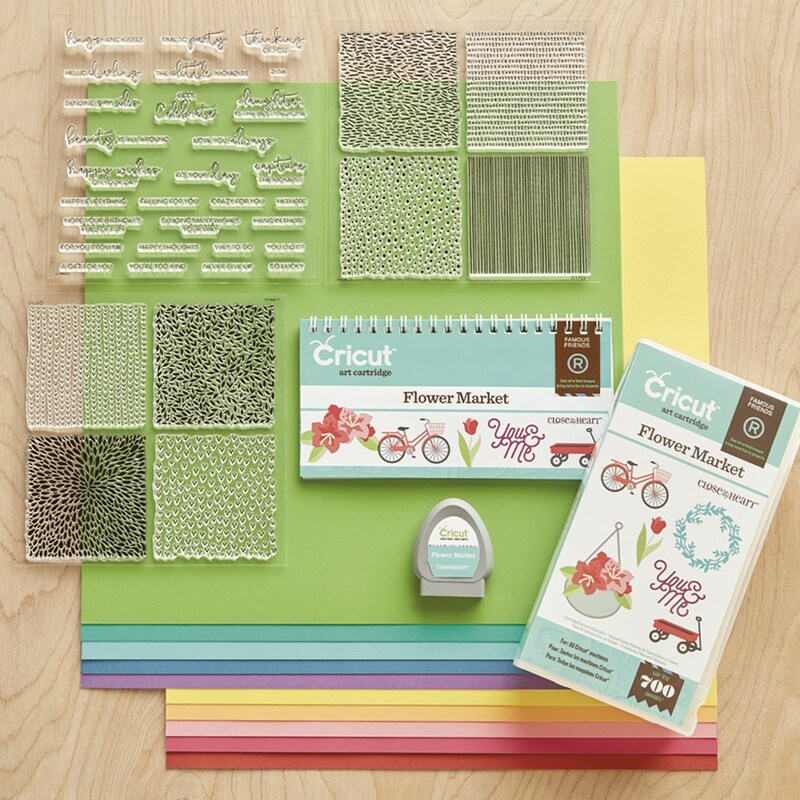 I LOVE our special this month for National Papercrafting Month - Welcome Home Wreath Kit! 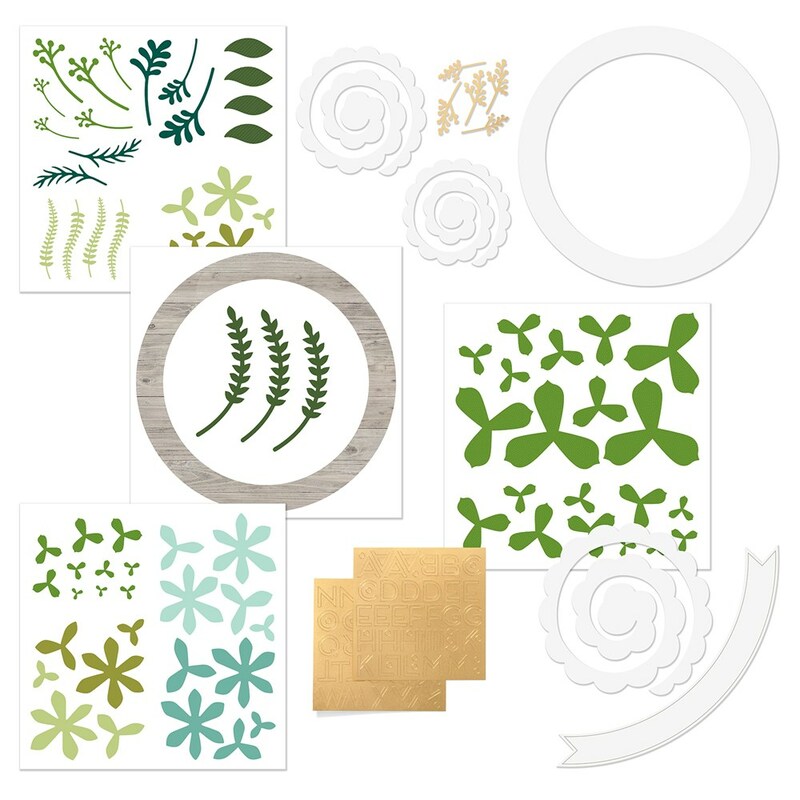 The kit includes die-cut paper pieces and gold foil accents, including enough alphabet stickers to allow you to choose your own message. 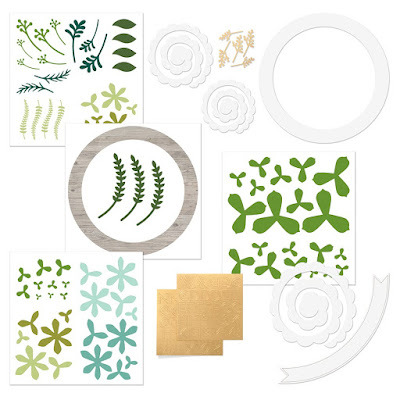 You can simply pop out the pieces and attach them to the sturdy chipboard wreath base, making a welcoming décor piece for your home. Simply remove the perforated pieces, ink the edges if you desire, and assemble according to the enclosed instructions! And the message you add to your wreath can be as unique as you are! These would make GREAT gift items too - personalized with their family name! 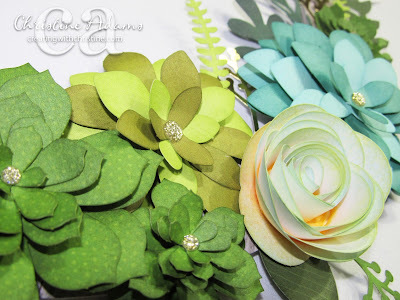 To make the roses, I recommend a Quilling Tool and Liquid Glass. They are SO easy to make! I inked mine with a little yellow inside and glue outside, which kind of turned them green of course! I wish I would have stuck with yellow and white. You can ink your roses or not! It's completely up to you! 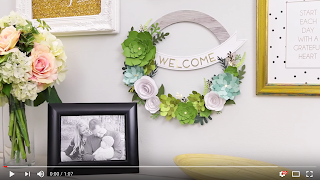 This one minute video will show you how to roll your roses and build your wreath! Click on the image below to watch. 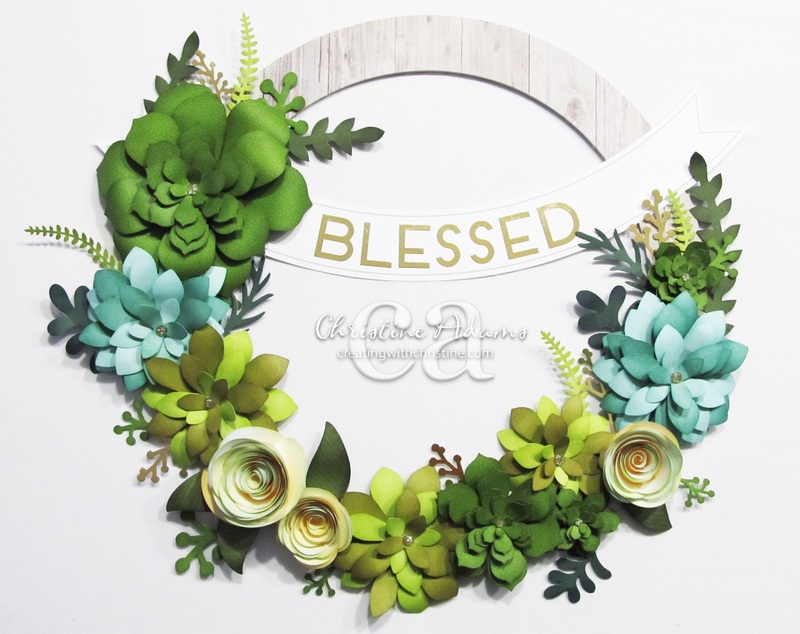 You can get your wreath THIS MONTH ONLY for $18.95! Or get it FREE with a $60 purchase! OR get it FREE when you sign up as a consultant this month! OR get it FREE when you host a party that reaches $250 in sales! Click here to shop and order your wreath or contact me to join my team or host a party! I've been playing around with the Flower Market cartridge and came up with a simple project for a Winter home decor display. I layered two of the grapevine wreath shapes with 3-D foam tape. 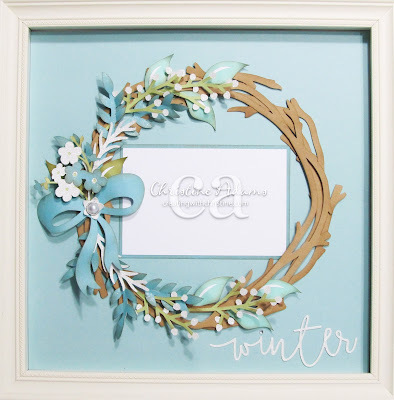 I added different branches and leaves using Sea Glass, Crystal Blue, Sweet Leaf and Fern cardstock and White Glitter paper for a frosty shimmer! 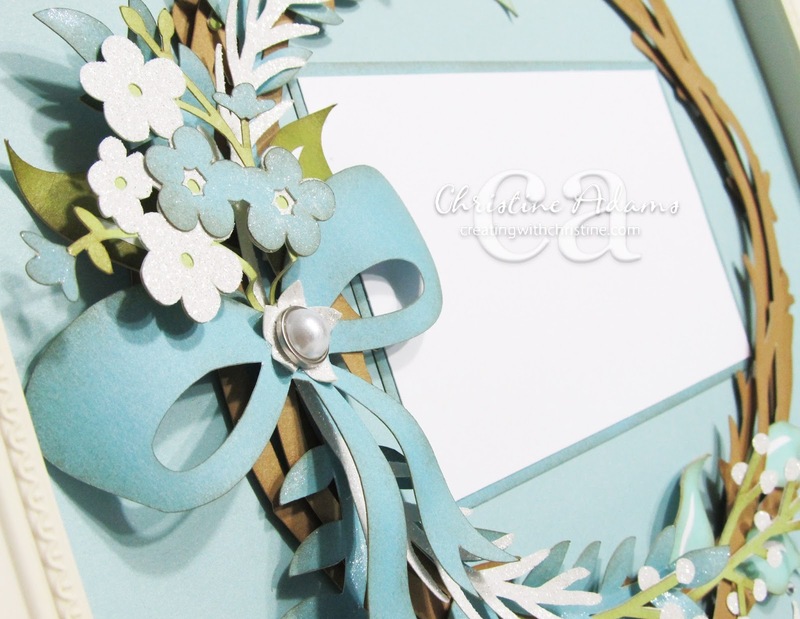 I used our new Clear Shimmer Pen on the Crystal Blue flowers and leaves. 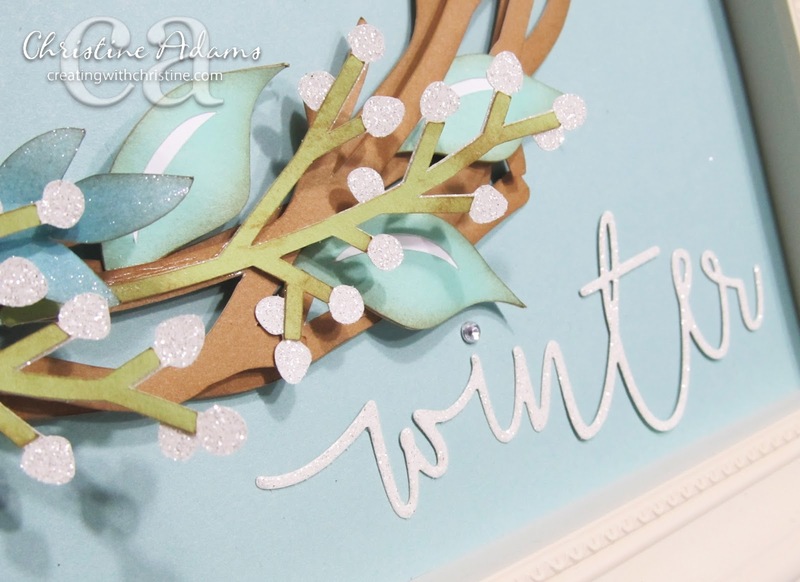 I LOVE the frosty shimmer and shine on this project! I added a Winter sentiment at the bottom. You could remove the photo mat and add your winter to the center of the wreath instead! This could be displayed in a frame, or in an album! 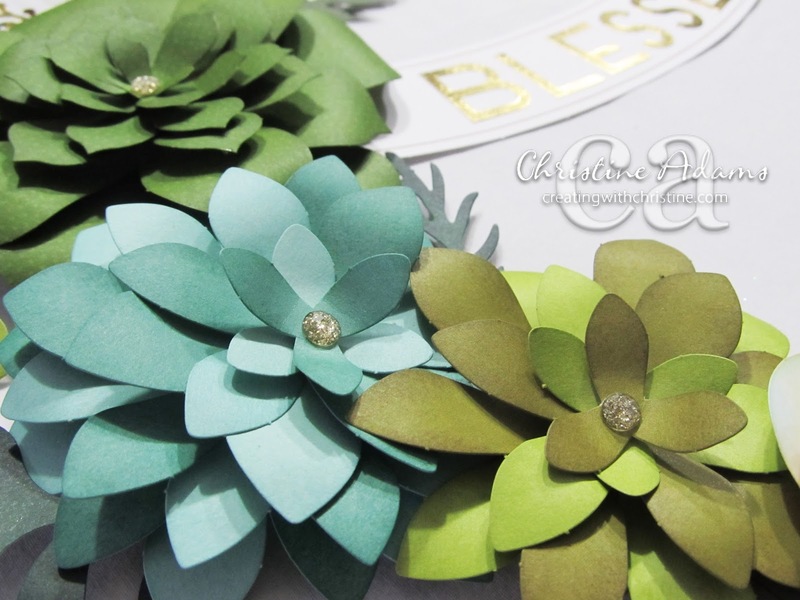 I'm loving this Flower Market Cricut Cartridge. Do you have one yet? Click here to order you physical cartridge or discounted digital cartridge!